Last Thursday the De Re Gallery debuted the "We Were Here" exhibition by artist Tania Dibbs and it reminded me the some of the great openings I attended in Soho when I lived in NYC in the 1980s and 1990s. Fellow artists, collectors, environmentalists, musicians, and thespians were all in attendance to check out Ms. Dibbs' first solo show in Los Angeles. Working both in oils and provocative sculptures, Ms. Dibbs seeks to explore the complex relationship between the nature and mankind's technological endeavors in this latest body of work. 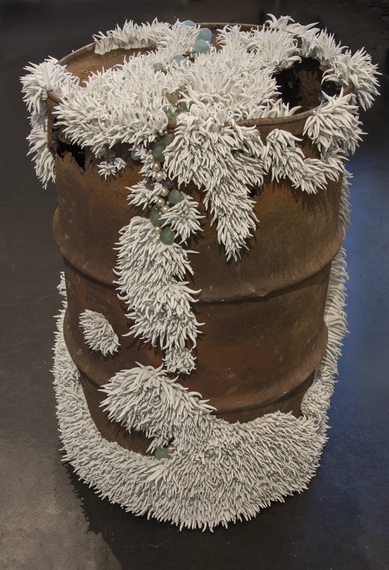 Inspired by "anthropocene" - a geological era marked by the effects of mankind - Ms. Dibbs "We Were Here" exhibition seeks to raise consciousness around humanity's sense of separation from mother earth and the resultant state of eco-emergency. Her paintings allow one to feel what it is like to contemplate our planet today: one cannot simply gaze beatifically at a landscape without contemplating numerous other realities - both hopeful and worrisome - at the same time. 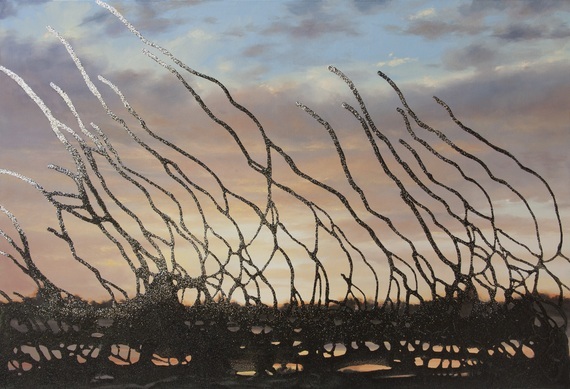 In addition to paintings, Dibbs exhibited sculptures with an essence of the power of nature that shifts our perspective regarding mankind's importance. 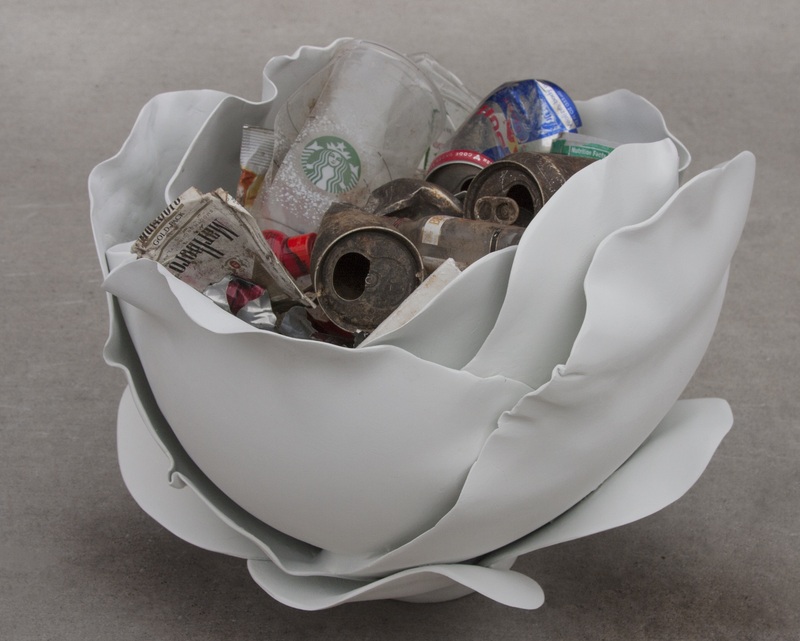 Dibbs intentionally uses the undeniable power of natural beauty as a vehicle to lead the viewer beyond the distaste of readily acknowledging the inconvenient truth of mankind's ecological footprint. She says, "What man continues to achieve is incredible to me. I would not choose to be alive in any other era. We have learned to manipulate the systems of nature and to harness the power of what was once inscrutable to us. Nowhere is the realm of 'nature' disentangled from the realm of our endeavors or their consequences. I am simply painting what is." Dibbs' work caught the eye of De Re Gallery's owner Steph Sebbag who said, "I loved the message of her work; how she could paint a beautiful landscape and then mess it all up. There's beauty in that, just like how man destroys nature. With We Were Here, Tania shows us what the world could look like after we are gone in an abstract way. It's a relevant message." Dibbs' ability to explore the beauty of nature disrupted by mankind's technological evolution has contributed to her international acclaim with her work being widely collected as well as showcased in both solo and group shows across the United States. "We Were Here" will be on display exclusively at De Re Gallery at 8920 Melrose Avenue in West Hollywood from January 14 until February 13. Don't miss it! For more information please visit www.TaniaDibbs.com.